KIMKIM won gold at the Summer Fancy Food Show. 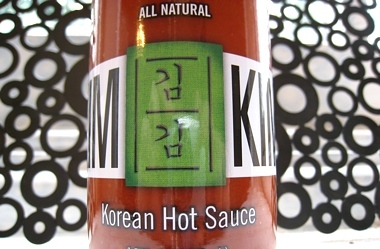 Back in April, Ellwood Thompson’s and Lamplighter Roasting Company started selling the locally made KIMKIM Korean Hot Sauce. Now, Fresh Market, Harris Teeter, Whole Foods, and Martin’s grocers across Virginia carry it. In just six weeks, KIMKIM is on its way to becoming one of Richmond’s most beloved products. This sudden rise of this local hot sauce is remarkable on its own. What makes it even more notable, however, is how KIMKIM started out: as a hobby. At eight-years-old, Steve emigrated with his parents and two brothers from Korea to a one-bedroom apartment in New York City. His mother, accustomed to cooking Korean food, made kimchi and soba noodles as best she could in their tiny apartment, but Steve craved the cuisine of his new home. He remembers his first bite of pizza and thought back then that eating English muffins was “the coolest thing.” He even ordered a Bisquick cookbook and made every recipe from it. He later earned an MBA from the University of Richmond and began a career working in marketing and marketing analytics, serving companies like Wal-Mart, Proctor & Gamble, and Unilever. It’s a career path he’s still on, and one that makes him “very happy.” While on this path, Steven began a year-long endeavor that would influence his eventual approach to KIMKIM sauce. In 1999, shortly after earning his MBA, he opened a noodle bar next to VCU at Cary and Harrison called Kimbo’s (the current location of Elephant Thai). He also opened a couple of food carts long before Richmond’s current food cart craze. “Everyone should go all-in,” he says about starting a business. “Only then do you feel alive.” That’s what he did with Kimbo’s. With a strong background in marketing, many would think, as Steve did then, that it would help Kimbo’s chances of success. It proved to be Kimbo’s Achilles heel. He said that he focused too much on the Kimbo’s brand and not the product. After one year, both Steve and his wife made the agonizing decision to sell the business. One of the staples of Korean food is gochujang (pronounced: “go-choo-jang”). It is a common condiment that features sun-dried red pepper, rice, and soybeans. Traditionally, it is fermented over many months, sometimes years, although versions of it can be made in minimal time. In its purest form, gochujang is a paste, one that Steve would cut with vinegar and other ingredients to mix into a proper sauce. He tried several different concoctions. “I started experimenting with it,” he said. He described his flavorful finale as being “strong, pungent, spicy, salty, with a hint of sweetness.” It’s something more distinct–more unique–than Sriracha and other popular hot sauces. He recalled one particular dinner party where he and his wife served pork belly with his gochujang sauce. His friends asked if they could take some home with them. He made more and began flirting with the idea of selling small quantities around town. 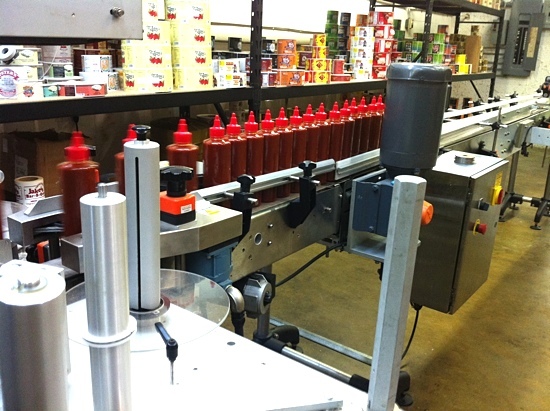 To gauge public interest, he provided Ellwood Thompson’s, Lamplighter Roasting Company, Crossroads, and Belmont Butchery with samples to be put in the condiment section of each business. “They wanted to help me,” said Steve about his early partners, something for which he remains grateful. The response from the businesses and customers proved unanimous: people didn’t just like the sauce–they loved it. They wanted more. It’s now sold across town and used by even more business, like Dixie Donuts and Dixie Chicken. One of Steve’s friends, Seth Goldman, co-founder of Honest Tea, ended up selling his tea brand to the Coco-Cola company for $100 million. When asked if he could imagine a similar scenario for himself, Steve said it’s premature to think about such a lucrative future. To him, KIMKIM is still a hobby. There are 8 reader comments. Read them.